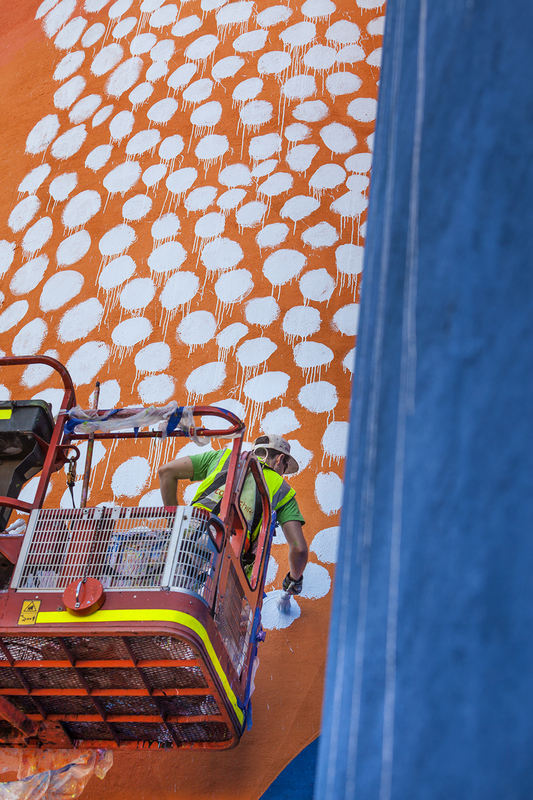 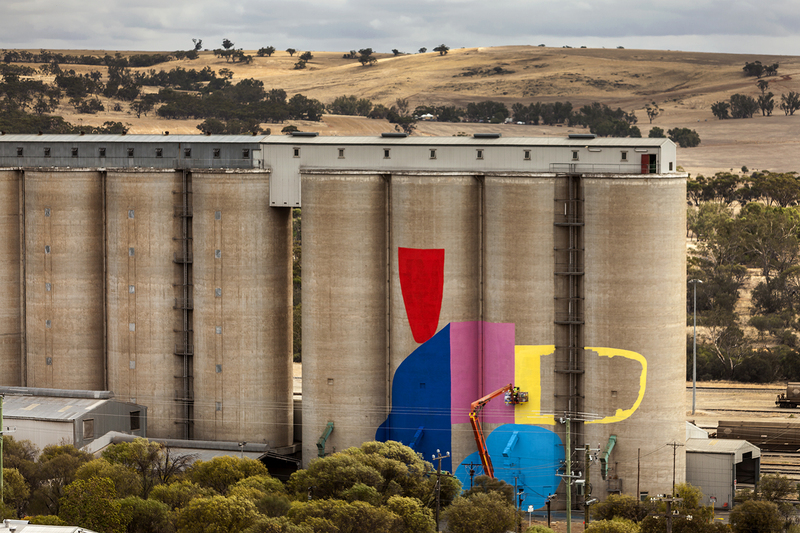 Hense has been busy with multiple projects traveling across the world painting massive mural installations, one of his latest trips lead him to Northam Australia. 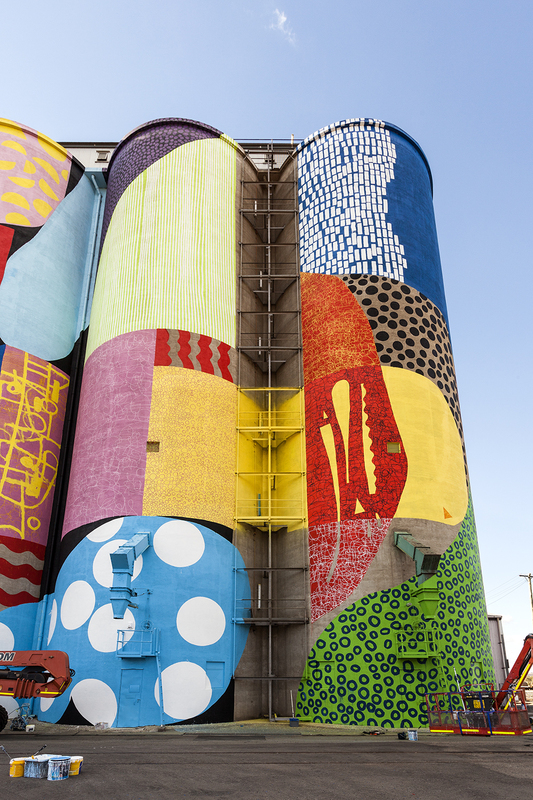 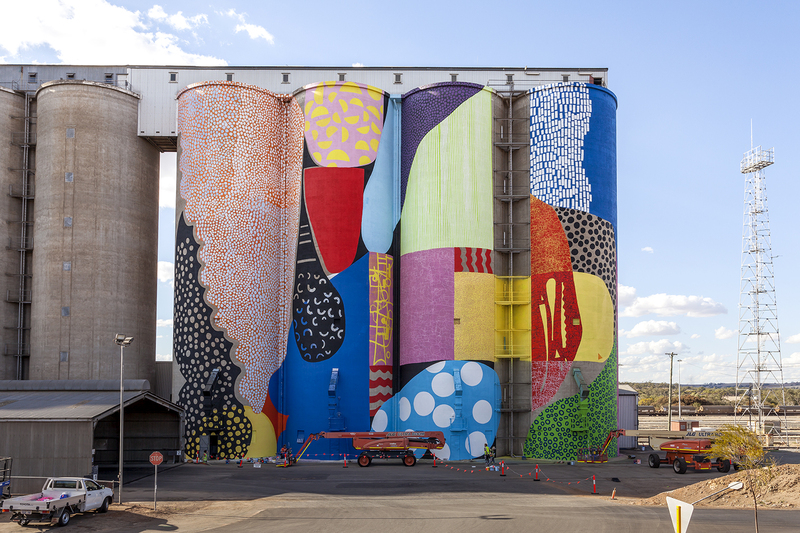 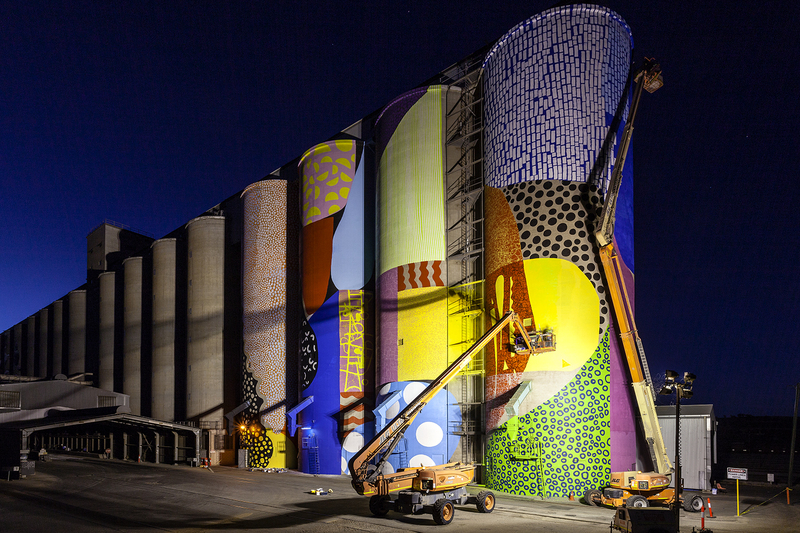 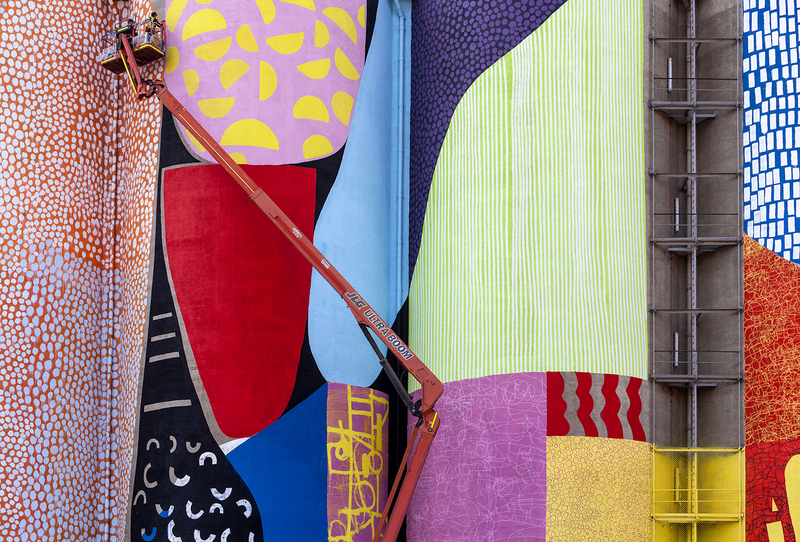 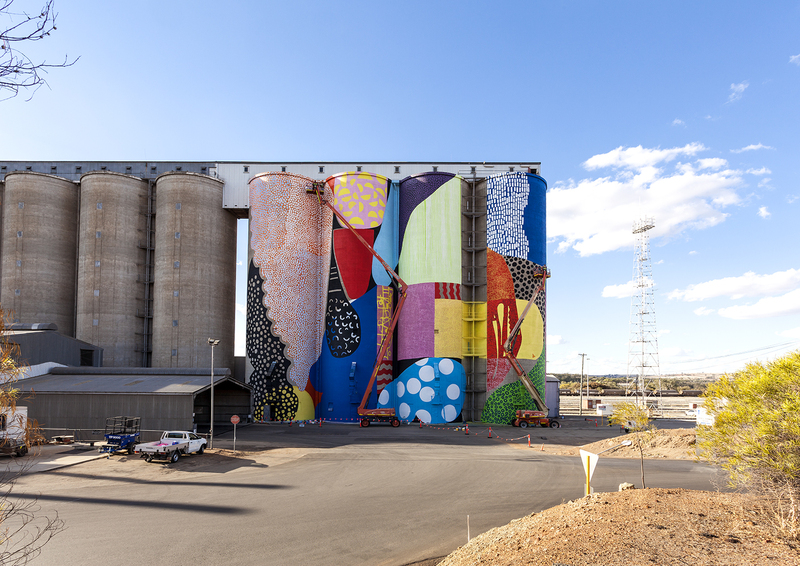 In what is his second largest mural to date Hense has tackled these 4 massive silo in the wheat belt commissioned as a public art project. 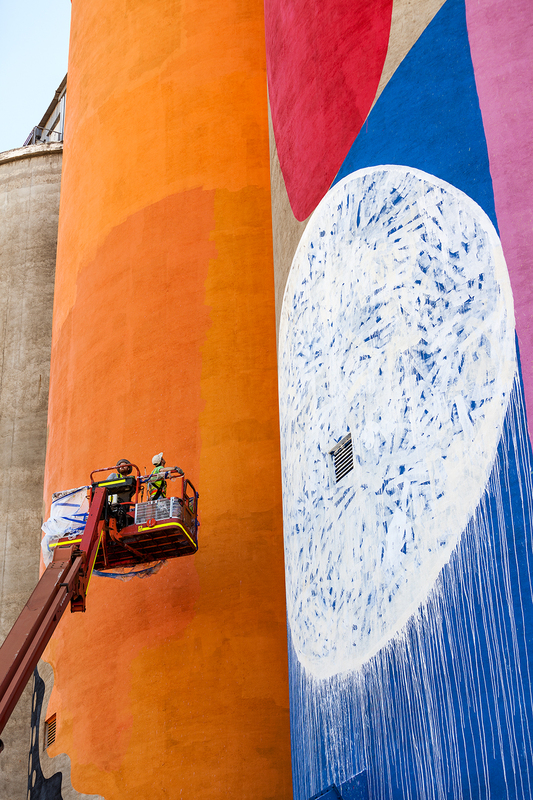 Hense continues to expand an already wide range of techniques in mark making to a monumental scale, marks that might be a brushtroke on canvas are meters in length. 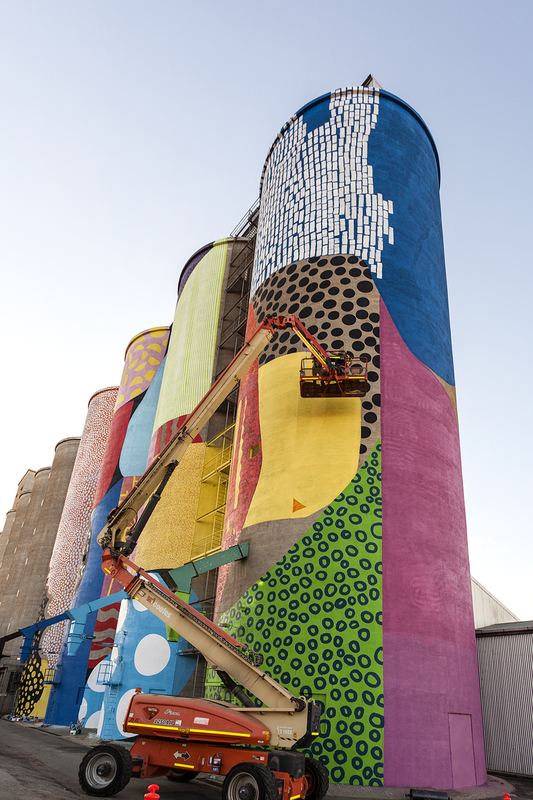 Yet the work translates to scale effortlessly, Hense continues to build a significant personal visual language regardless of scale. 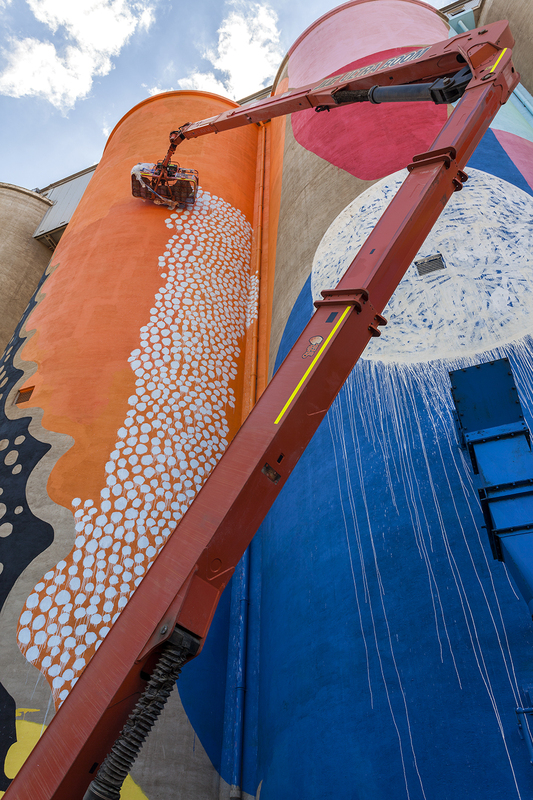 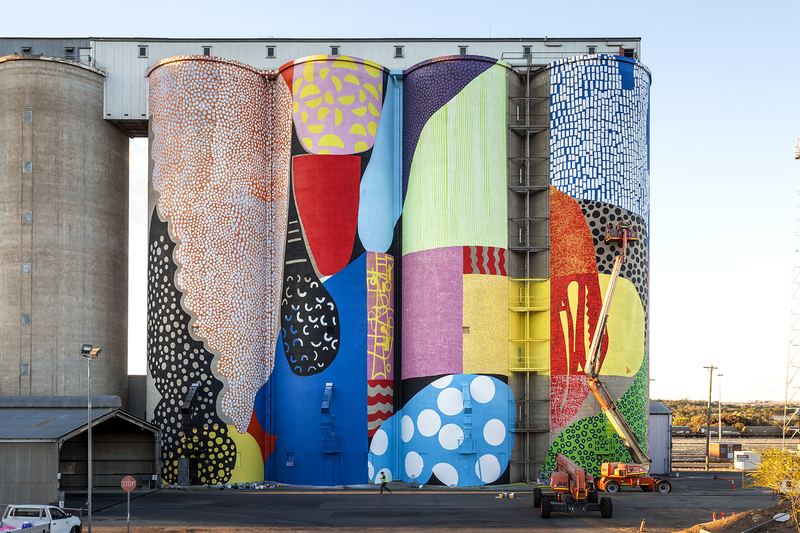 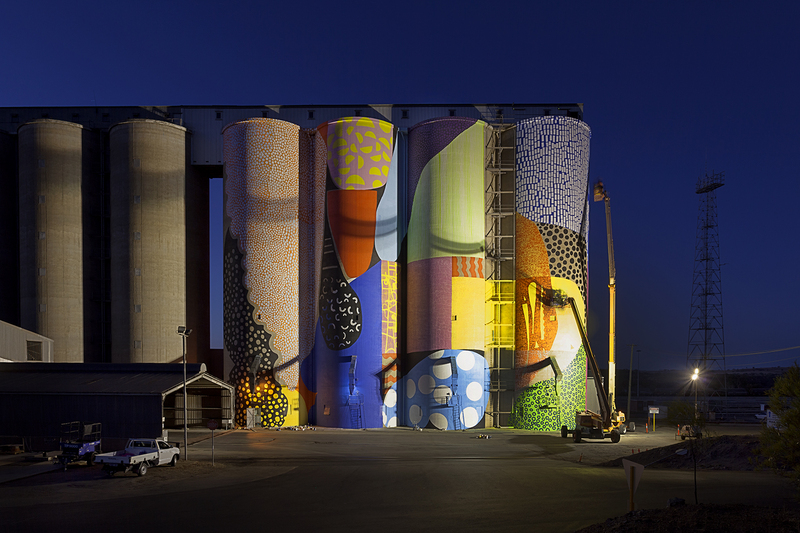 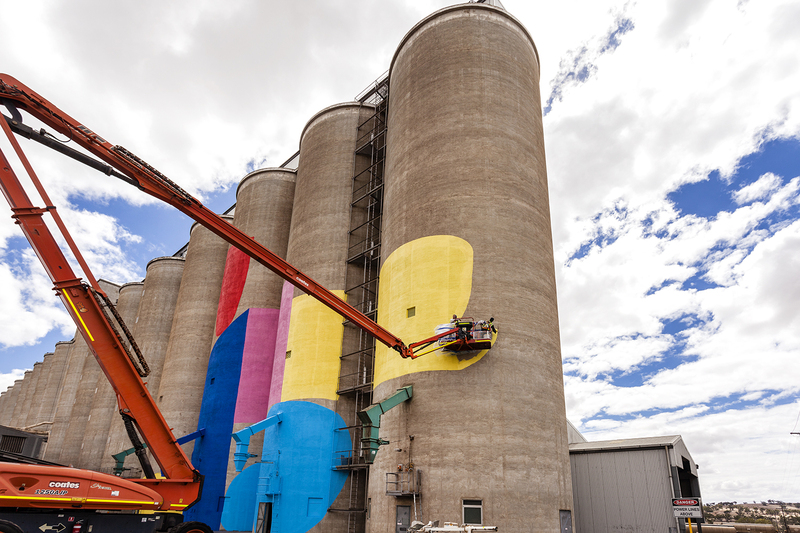 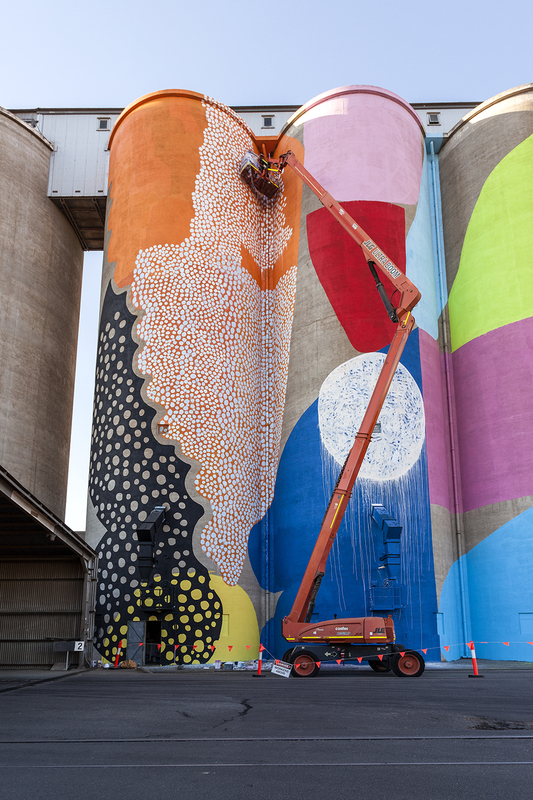 Commissioned public work on the CBH Group grain silos in Northam, Western Australia. 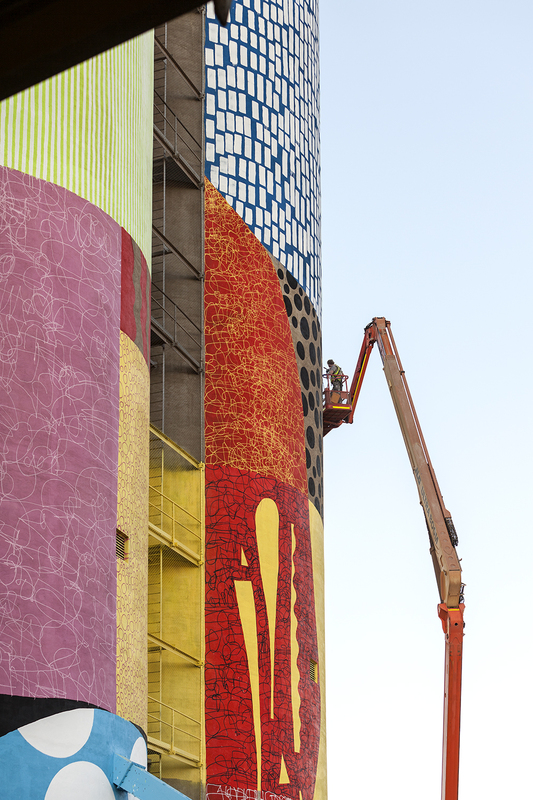 This project was organized and funded by FORM for PUBLIC 2015. 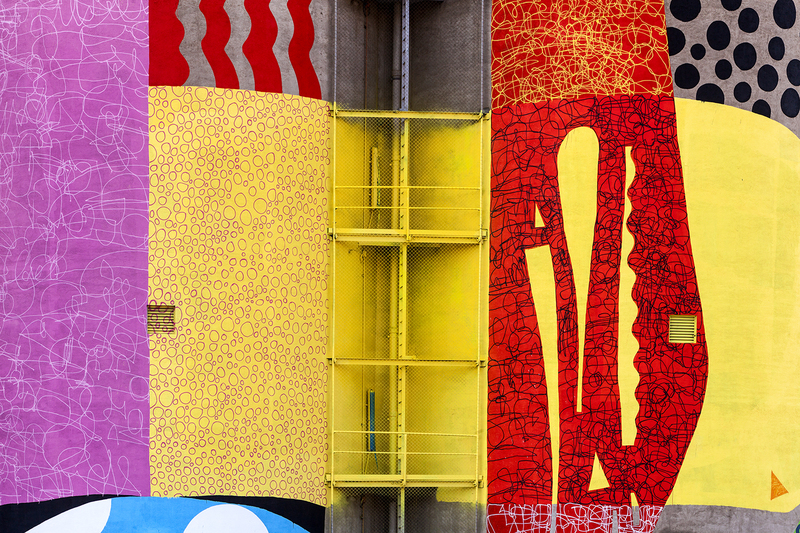 Hense Exterior latex enamel and spray paint on concrete.